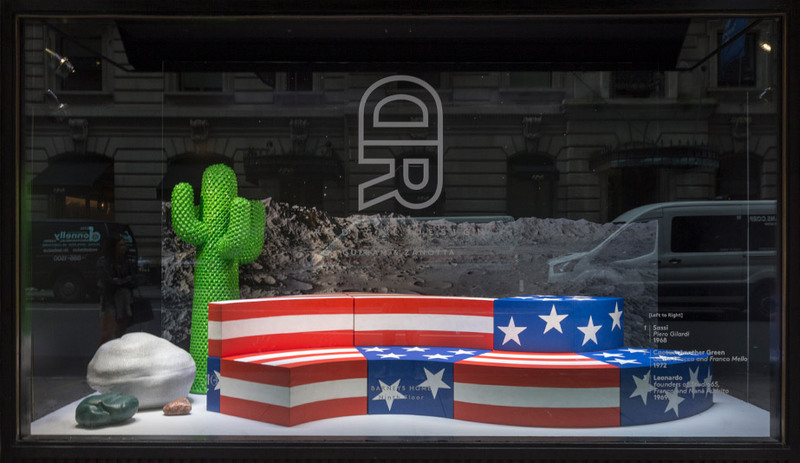 A comprehensive showing of Radical Design is on display at Barneys New York flagship, inviting both long-time fans and those yet to discover this revolutionary design movement to get up close and personal with the uniquely powerful pieces. 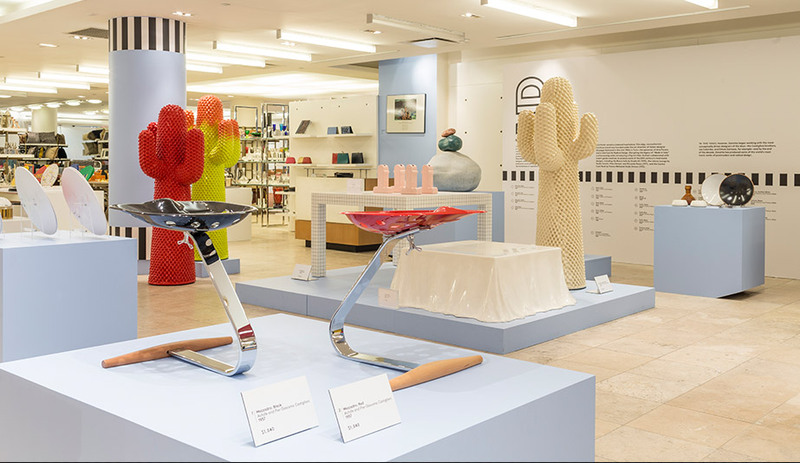 Cactus coatrack by Guido Drocco and Franco Mello (1972); Pratone chair (1966) and Puffo stools (circa 1970) by Gruppo Strum (all Gufram). Today, the term “disrupter” gets bandied about with such regularity that it could be argued it’s lost much of its significance. 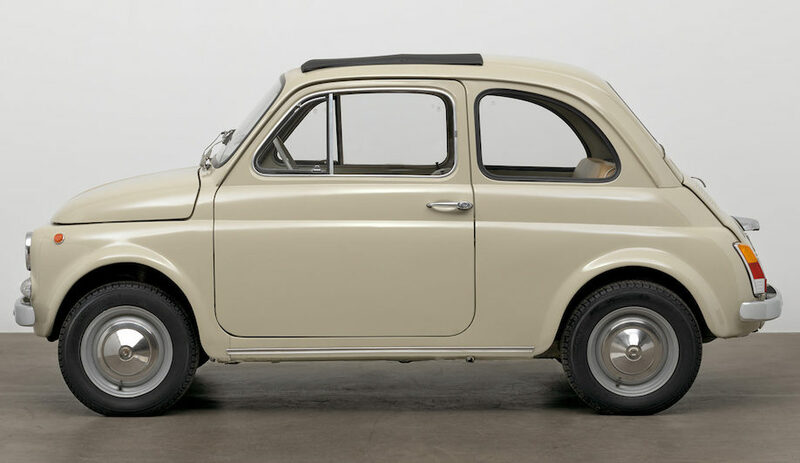 But fifty years ago, a collective of avant-garde designers was certainly worthy of the moniker. 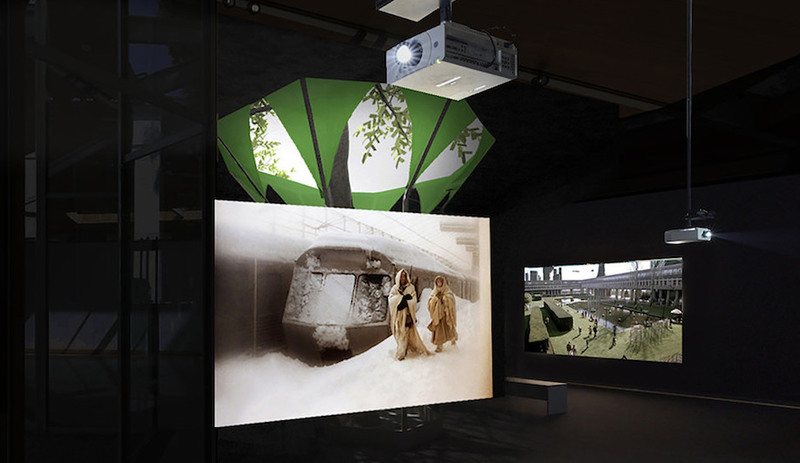 Non-conformist and anti-establishment, the creatives behind Italy’s Radical Design movement of the late 1960s and early ’70s were responding to the political unrest of their time, creating works that shook free from normalcy and traditional constraints. 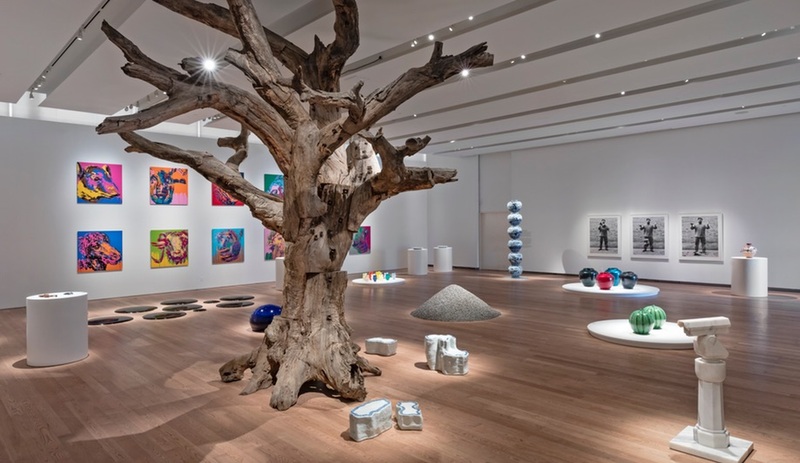 The resulting and expansive portfolio was a robust showing of near-cartoonish designs that exploited synthetic materials and oversized proportions – and which feels just as relevant now. Detecma seat by Tullio Regge (1967, Gufram). 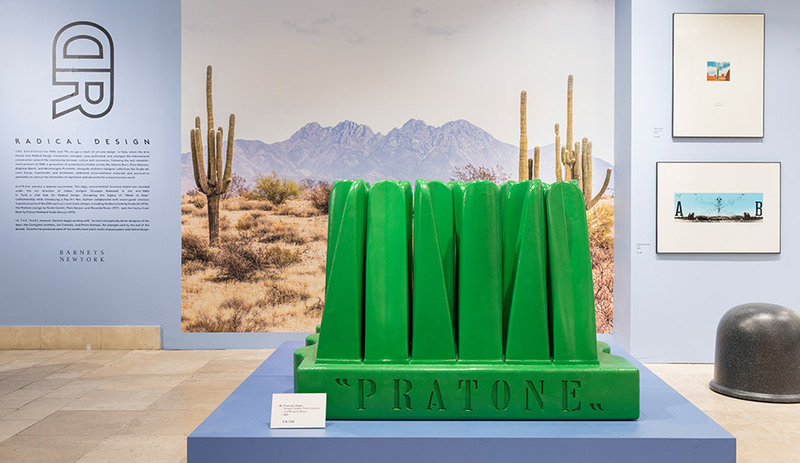 The Barneys flagship in New York is currently hosting a pop-up exhibit (and sale) of numerous seminal pieces from the movement, a collaboration with Zanotta and Gufram. 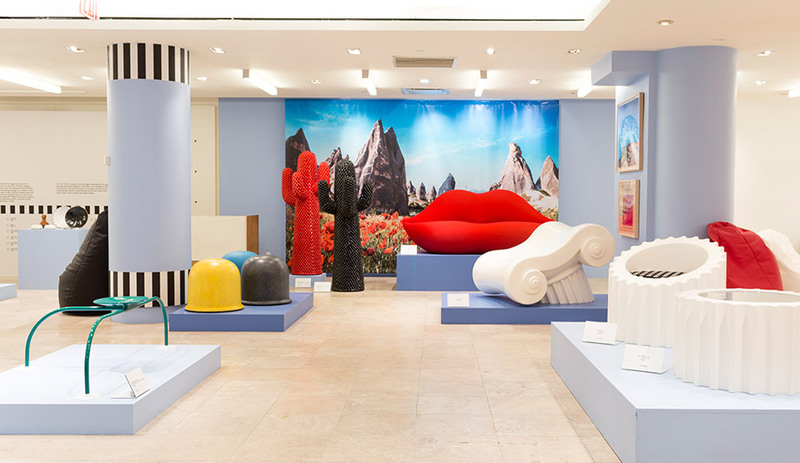 Spread across the ninth floor of the Madison Avenue showroom, the pop-up is a wonderland of giant lips, cacti and columns. Allunaggio stool by Achille and Pier Giacomo Castiglioni (1965, Zanotta); Bocca Sofa by Studio 65 (1972, Gufram); Capitello chair, Attica armchair and Attica TL coffee table by Studio 65 (1970, Gufram). Mezzadro stools by the Castiglioni brothers (1957, Zanotta). 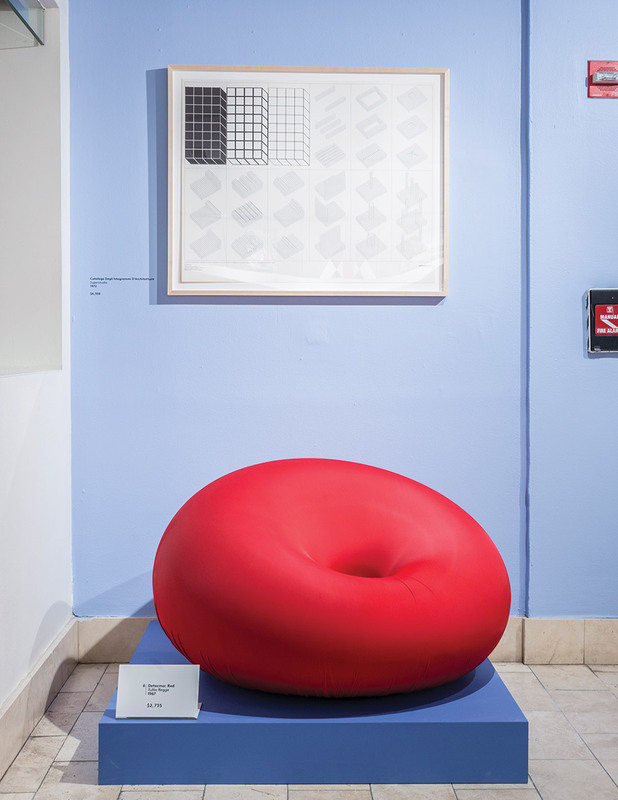 Included in the showing are such iconic pieces as the extraterrestrial-like Allunaggio stool by Achille and Pier Giacomo Castiglioni (designed for Zanotta in 1965), Piero Gatti, Cesare Paolini and Franco Teodoro’s Sacco beanbag chair (Zanotta, 1968) – considered the first beanbag chair ever – and Gufram’s towering plastic Cactus coatrack by Guido Drocco and Franco Mello (1972). 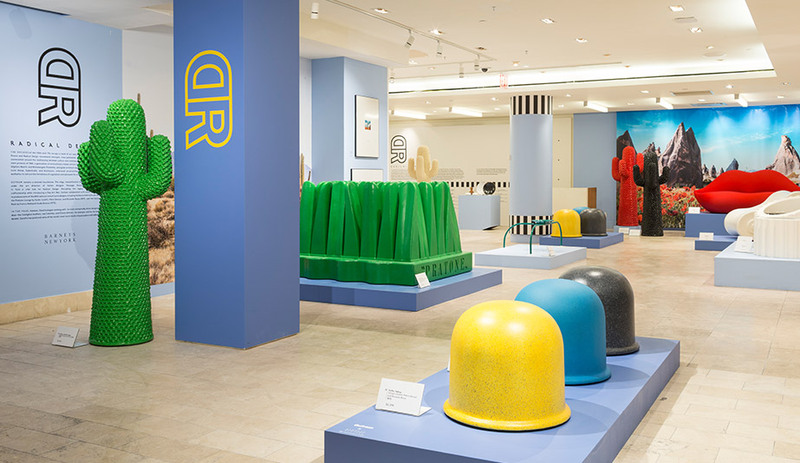 Along with other vintage pieces by Superstudio, Archizoom, Franco Bucci and Angelo Mangiarotti are newly produced favourites like Sottsass’s cheeky Shiva vases and a limited-edition run of Puffo, the polyurethane pouffe designed by Gruppo Strum in 1970 which has been out of production since 1989 (Gufram). Limited-edition Sassi chair set by Piero Gilardi (1968) and Leonardo sofa by Franco and Nanà Audrito (1969; both Gufram). 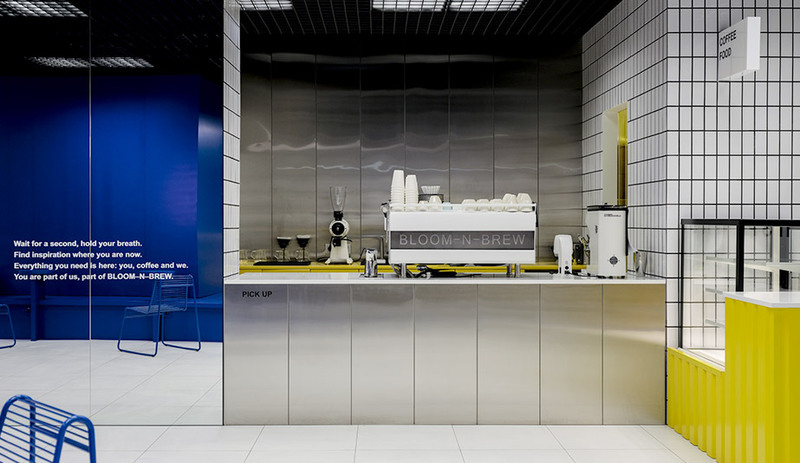 “Radical Design showed, in a provocative way, how objects could extend well beyond their simple, utilitarian functions to become elements of a different future,” says Giuliano Mosconi, CEO of Zanotta. Wild, unconventional and futuristic at the time, the pieces feel as fresh and revolutionary today as they originally did, a testament to the unique vision of their makers.